HKT loves this time of year, because this is when we begin to move into a new season and our fabric mills tell us all about the incredible new fabrics they’ve been creating for the fall and winter. One of the cloths that really jumped out at us this year is the iTravel fabric from Italy’s Linificio Cerutti. It features a number of properties that makes it perfect for creating an elegant bespoke suit that feels fantastic to wear and is super practical for the cooler months. In fact, we were so impressed with the iTravel fabric that we’ve decided to give you five good reasons why your new custom made suit should be created out of this very special material. Accidents happen, and sometimes they happen on a suit you love or at the most inopportune moment, for example, a glass of wine split over your trousers at a wedding or a cup of coffee that goes down your front on the way to a business meeting. The great thing with a made-to-measure suit created from Cerutti’s iTravel fabric is that you don’t have to worry if something like this happens. That’s because it features a special finish that ensures it’s waterproof and stain resistant, making it perfect for unexpected surprises or when you need to dash out into the rain without an umbrella. Put your suit on, drive your car or ride public transport, arrive at the office, sit down, work, stand up, chat to a colleague, sit down, work, stand up, grab a coffee, sit down, work, stand up and go to a meeting, repeat, repeat, repeat. Over the course of a typical working day, the suit you’re wearing receives quite a battering from all sitting down, standing up and general moving around you do. This can lead to your suit looking pretty creased and tired by the end of the day. But what Cerutti have done for its iTravel fabric is carefully select highly twisted wool yarns that are naturally resistant to creasing and offer excellent comfort too. In particular, this makes a suit or sports jacket handmade in this fabric especially suitable for people who do a lot of travelling or are constantly on the go at work. When people hear about a “waterproof and stain resistant fabric” they may automatically think about a cloth that’s pretty rigid and makes them sweat (a lot). Well, please cast these thoughts out of your head. The wool which is used to create the Cerutti iTravel fabric has been specially selected from thousands of batches in Queensland, Australia, because its fibers exhibit a wavy, undulating structure as well as being highly twisted. This “crimp” makes the cloth very breathable, so you don’t need to worry about moisture created by your body being trapped inside your suit. In addition, the wool used for the iTravel material is dyed when it’s a raw material rather than later in the production process. This ensures a solid color resistance to perspiration, ie no unsightly sweat stains will ever be on view. From a tailoring point of view, what is really great about the iTravel fabric is that its lovely to cut and work with, and it fits around the body exceptionally well. This means we can create a bespoke suit that’s absolutely perfect for the characteristics of your unique physique. As well as creating a custom suit for you, we can also design a stylish sports jacket or blazer from this wonderful fabric or a pair of separate tailored trousers that make sure you walk with confidence and look incredibly smart at all times. The Cerutti iTravel fabric is currently available in classic colors and bold patterns , which means you can choose a color for your custom made suit that complements your own coloring and reflects your personality. Or if you’re unsure about what color of suit is right for you, one of our style consultants can offer you guidance for free at our store in Doraville, Atlanta. When you choose to have a handmade suit created from a Linificio Cerutti fabric, you know you’re in safe hands. Founded in the 1960s in Paris and headquartered in Biella in Italy, Cerutti cloths are world renowned for their high quality. To craft luxurious and technically superior fabrics like the iTravel range, the company’s expert clothiers use the pristine water from the Biella region to wash and treat carefully selected wool imported from Australia and South Africa. The craftsmen then combine the wool with Mongolian cashmere, cotton, linen, hemp and synthetic fibers to develop exceptional cloths that are the perfect choice for soft and comfortable bespoke suits, trousers and blazers. Over the years, we’ve created many exceptional and much-loved pieces of clothing from Cerutti fabrics, and we’re sure if you choose the iTravel cloth or another fabric from the company, we can do the same for you. So, there you have it. That’s our five good reasons why you need a stylish made-to-order suit created from Cerutti’s iTravel fabric in your wardrobe. It really is an exceptional material for making tailored garments that exude class and are super practical for the fall and winter months. But don’t just take our word for it. Book a meeting with one of our style consultants and come take a closer look at this special fabric and all of the other luxurious cloths we have in stock. 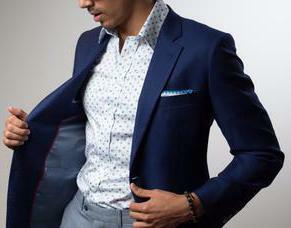 We can also take this opportunity to discuss the look and feel you want from your suit and the many style options available to you. To get in touch with HKT, please call us on 770-458-8682, email team@hktclothiers.com, or visit us in-store at 5378 Buford Hwy NE, Atlanta, GA 30340, USA. We’d love to see you. Is a $20,000 vicuña coat worth it? What’s the difference between a super 100s, 130s or 200s suit?